Outfit your workbenches, jigs, or machine tables with the ultimate accessory track! 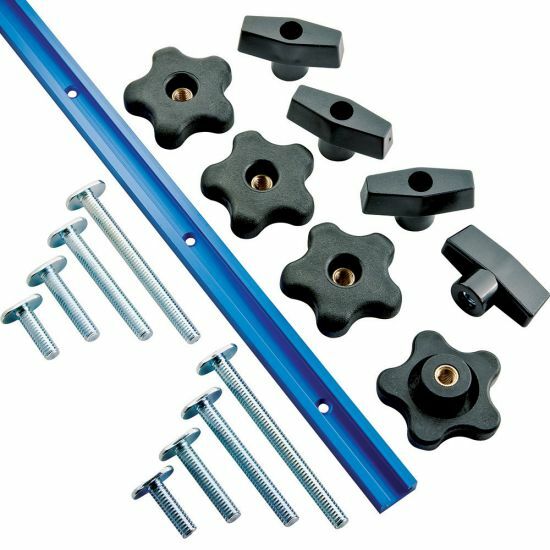 Universal T-Track boasts a unique stacked-slot design that allows you to attach any accessory with 1/4" T-bolts, 5/16" T-bolts, or 1/4" Hex-bolts. Additional lengths of track are sold separately. 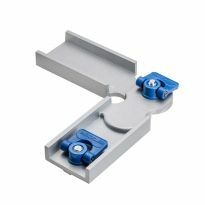 For added versatility and functionality, combine T-Tracks with 5-1/2"L x 1-1/8"W Hold Down Clamps (#35283), and 3-1/2"L x 3/4"W Hold Down Clamps (#45692). 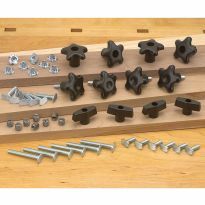 I have a couple of woodworking projects I am going to use this track kit to build. The price was great. 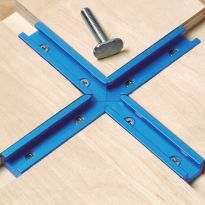 I used this t-track and kit to setup my miter station stop block. I opted not to build a typical fence to save on surface space. I'm really happy with how easy it was to install. THIS IS VERY HELPFUL IN MAKING MY OWN JIGS. It saw on sale at a real bargain. There are enough left over parts to build more, except track. 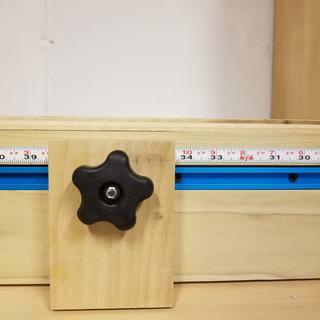 You could make several smaller sleds and or jigs with this package. I will buy another (or two) when they go on sale again. Did I mention I am cheap? Especially when they go on sale! I bought four of these 48" kits on sale for a 72" workbench project. I cut each piece down to 36" and butted the cut ends together in the middle of the workbench. Now I have four 12" T-Tracks left over for a smaller project, and lots of knobs and T-bolts for shop made stop blocks and hold downs. Great quality T-Tracks and I really like the blue anodized finish against the hard maple bench top! T-Tracks set into dadoes that run the length of the workbench top. 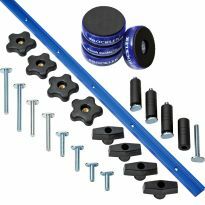 The Rockler 17-Piece Universal T-Track Kit fit my needs perfectly to build my adjustable router jig. I wanted this to more precisely cut the opening in the router table that I built. The Kit was a very attractively priced. Only thing left is to acquire are some knurled nuts to replace the hex nuts. 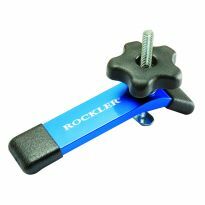 Thanks Rockler for a broad product selection and reasonable pricing. Great quality. 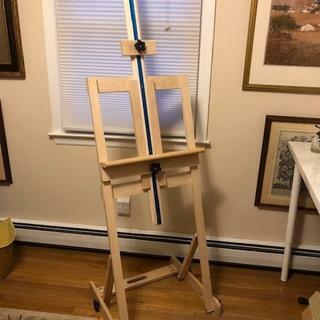 I used it to construct an artist easel. Appreciated the ample supply of bolts and knobs. Very good quality and very dependable for making jigs, sleds, tables, etc. I would recommend this to anyone who is needing a dependable product. Works as expected. Sale price is a much better deal. Love it... exactly what I needed for all my table saw jigs. Thanks, Rockler! I really like the blue annodized finish too. Much better looking than the standard silver (refer to picture for comparison). 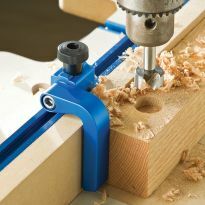 The Rockler Universal T-Track is one of the best available. Add the bolts and knobs, then it becomes a great value. I only buy this kit when it is on sale, but this is the 4th one I've bought and the other three are almost entirely in use somewhere (jigs, drill press table, etc.). It's amazing how many things need temporarily attached to something else. i.e. put a hole in a board and you have a hold down. Great deal on a very good product. Make your own jigs! This kit is a good starter kit. I've used all the parts for different jigs. Fit and finish is great. I initially purchased the T-Trak system from Kreg for my assembly table for my shop. Then overtime, I found that I needed more clamping tracks. The extra tracks I needed for the bench dogs and other points to hold down my projects with the T-Trak Kreg clamps. When the product was on sale, it was a no brainer to purchase 2 sets and enhance my assembly table. I have not yet installed this rail but I am definitely looking froward to the addition to my work bench! Great Place to Start Kit!!! 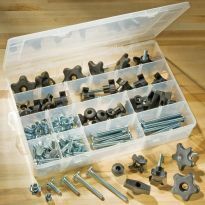 I purchased the 17-piece Universal Kit to put together a drill table. I was extremely pleased to see the kit had what I needed and more!!! I not only made a drill table, but I also made a table saw jig!!! 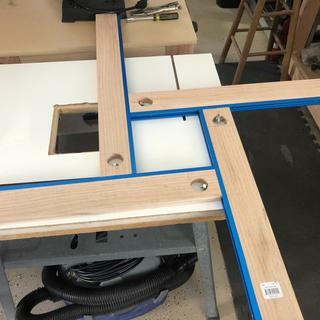 Bought the Rockler T-Track Intersection Kit and Rockler Hold Down Clamp, 5-1/2''L x 1-1/8''W and used the pic's on the website to make TWO Tables. Great equipment at a reasonable price!!!!!!!!!!!!! 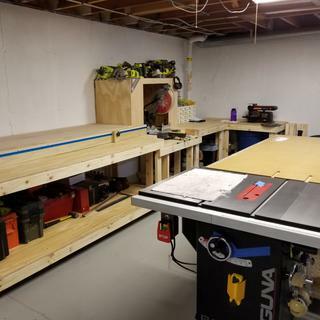 I purchased 2 t track kits to build sleds with and drill press tables the price was great and the tracking is the best quality and they look good to. 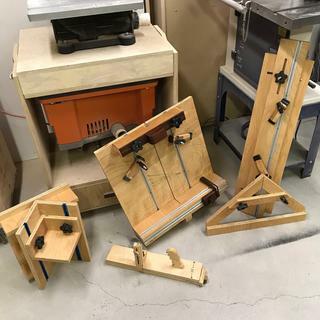 The 4 sets I purchased are planned to be put into use in near future, for adding more T-tracks to my drill press table, a couple table saw jigs and sleds, and to one of my work benches. I grab one of these kits when they go on sale quite often, even if I don't need it, because it's a great deal, and you don't want to have to wait when you DO need it! 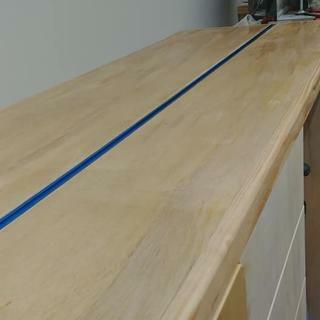 This t track was just what i needed for my miter saw station! 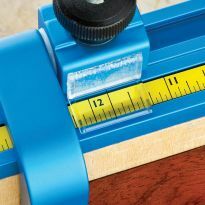 Paired with a Starrett measuring tape it makes a perfect stop block setup. looks good just got it but did't try it yet. Great bargain. All the necessary components needed for my project. This is a great combo. The T- track, bolts and various knobs. Used make my own assembly table, works well. This kit has a little of everything in it. Sales price was to good to turn down. I need to buy this stuff by the case. I use it in my shop everywhere. Very good quality. Quality and delivered on time. Mounting mine on a cross cut sled. At the sale price,specially, it is an great buy. Just what I needed for my current build. If works out I may buy more if it comes up on discount again. Normal price is a bit much for my budget. I like this kit a lot. I made a dado jig for my router with this particular purchase. I think it would be nice to have another piece of aluminum track because there is plenty of hardware included to make several jigs if you had enough track to go along with it. Liked the price, need this for my router table. 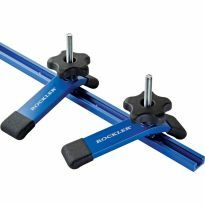 I know I can trust Rockler. I need it for an up coming project. 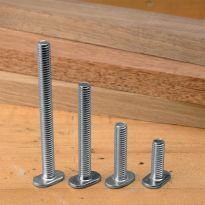 Needed t-bolts and knobs for router dado jig, this was on sale and had pieces for a cross cut sled I’m building. I've searched everywhere for this item and can't find it at the right price or complete as you have it listed for, so it makes me happy I will no longer need to keep searching. Thank you. 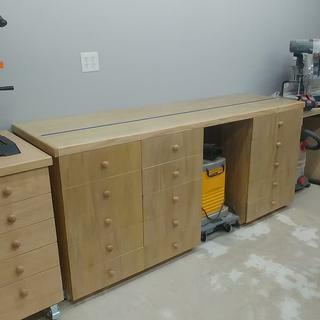 Need to build a router table and this is a good price. Seems like a good deal for people starting out. Needed more T-Track and the sale price for this kit is less than the cost of a 48" piece of T-Track. No Brainer. Building a new workbench and will incorporate T-track into the top. 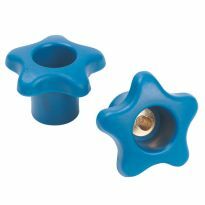 The knobs and bolts are great for making my own stops and jigs. It's a great price and the possibilities are pretty much endless. My son sent this to me. I have some projects I will be working on that call for T-Track. 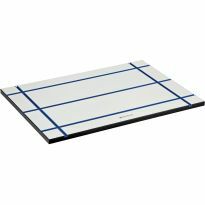 Going to make a table saw sled and the T-track will help. I needed a 4' section of T-Track for my new router table. Getting the track with all of the extras for less than the cost of one 4' track is a no brainer. Material list from WoodsmithPlans for detail router table. Love the extra pieces for other jigs and back ups. Already have some hardware. Wanted all T-track to match. I am making a bunch of tool jigs and these are just what I need. See other comment. Needed the t-tracks for the stop kits. I am building a crosscut sled for my 3hp Delta Unisaw. My husband needed a track and hardware. This is his second purchase of this product and he is greatly satisfied. 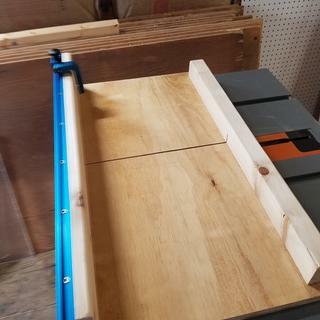 I'm in need of yet another table saw sled and thought the Rockler 17 Piece T-Track Kit would come in handy for my design! 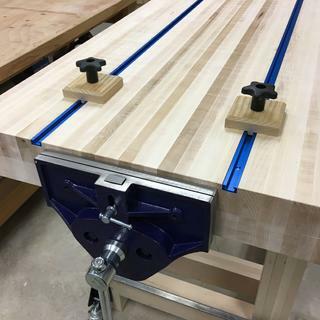 I've used Rockler T-Tracks before and they work great! What are the track's dimensions? BEST ANSWER: 3/4" wide x 3/8" deep x ordered 48" long. It does not come with screws for attachment... I used #8 wood screws so the heads of the screws would not interfere with movement on the track. My track was a little tight fitting it into a 3/4" grove, but using a rubber hammer it went right in place. The snug fit assured no movement when attaching it to the bench top. I found #6 screws sit down in the track better. 3/4" wide, 3/8" deep, and 48" long, very straight and true! what size tap and dies will be included? What router bit do you recommend for flush mounting these? How far from the edge of the top do you need to put the track? Looking at putting two tracks parallel the length of my 8 foot bench. Wanting to keep one close to the edge and other about a foot in. BEST ANSWER: Some of your decision will also be what type of hold-downs will you use? If you are going to use it for a moving sled you may want to make sure it has room to be supported. Otherwise the material your bench is made of will also help to choose the right distance for your custom build. You could use it as an edge but if you don’t want to do that I’d leave enough material that it would not break away with any side pressure. Thanks Greg. Any idea what enough material would be? I am just learning about wood work. Is it possible to receive two 2' tracks instead of one 4' track? Good answer. Because this item was on sale it was a deal I could not resist and now I can custom cut them. Got a hacksaw? Easy to cut. How long is the T track? BEST ANSWER: The T-track in this kit is 48 inches long. I found that it has a nice assortment of hardware to go along with it. I found mine quite helpful in many applications. I would recommend this product to anyone. 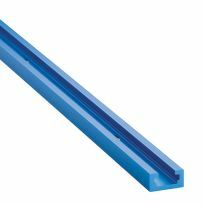 T-track need 5 foot long is it available and were can I order it? Mine didn’t include screws for the track. Is this normal? What size would work? BEST ANSWER: These track do not include screws. A #6 screw will work with these.